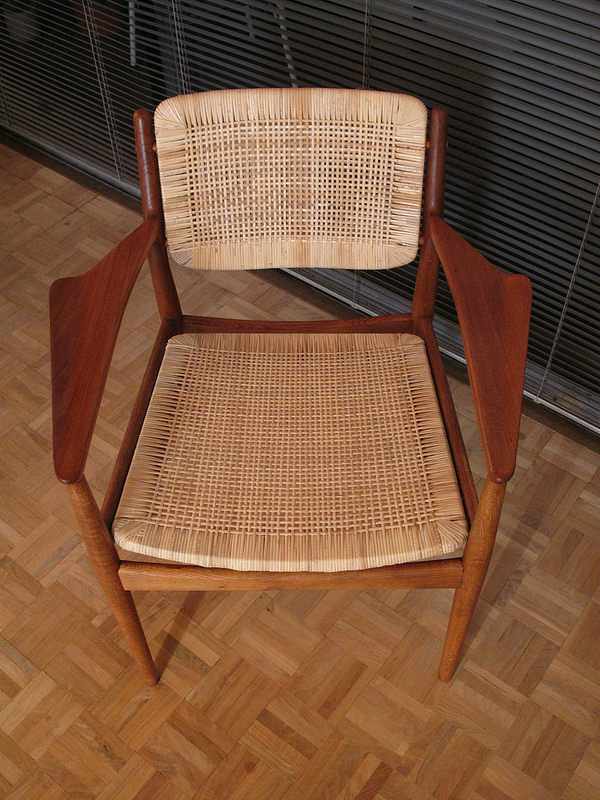 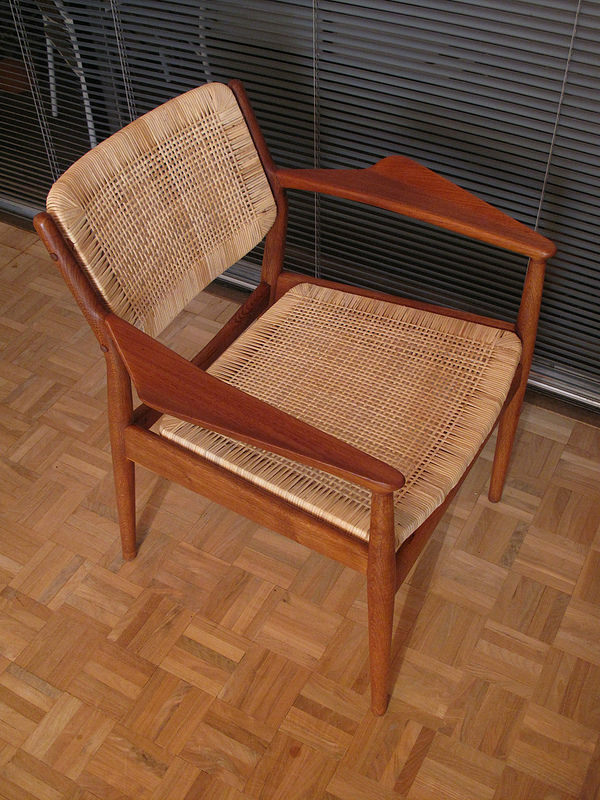 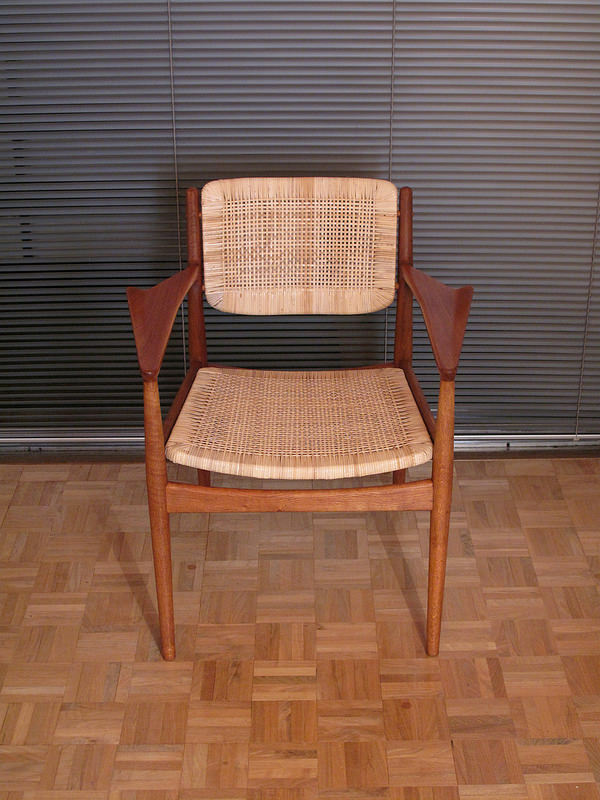 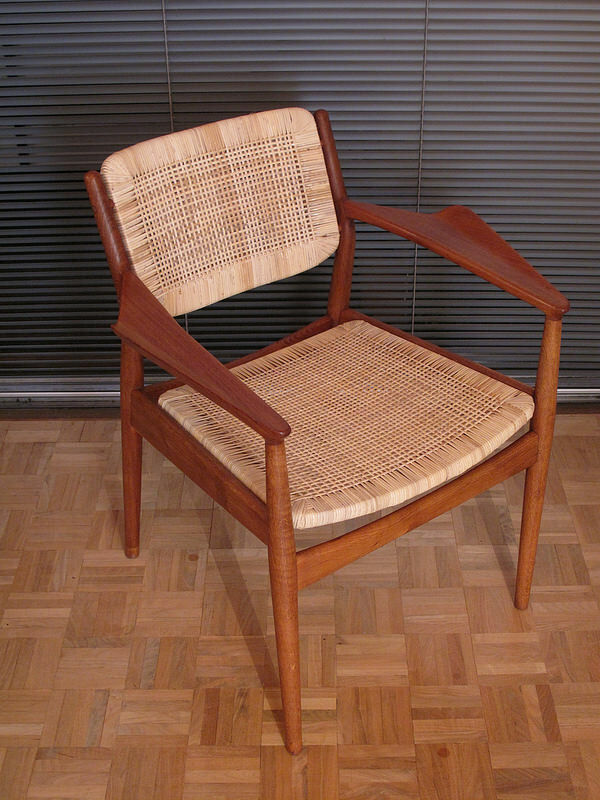 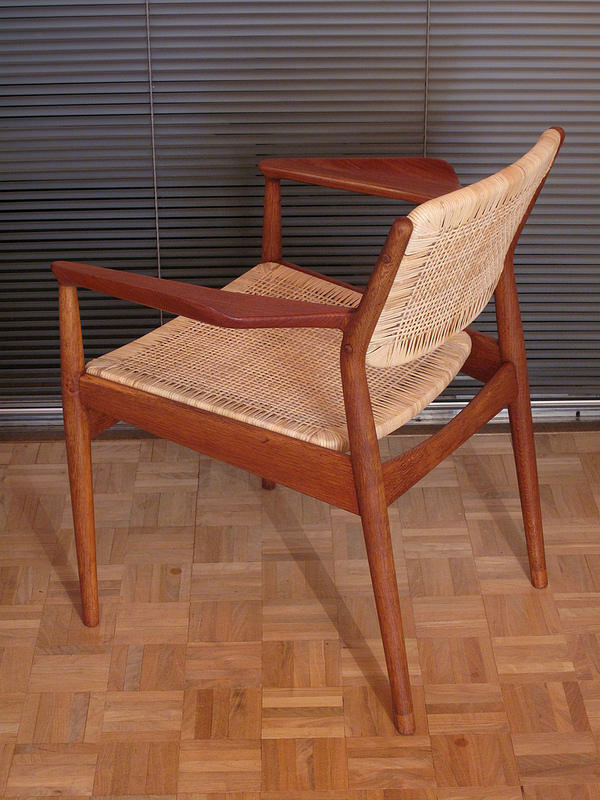 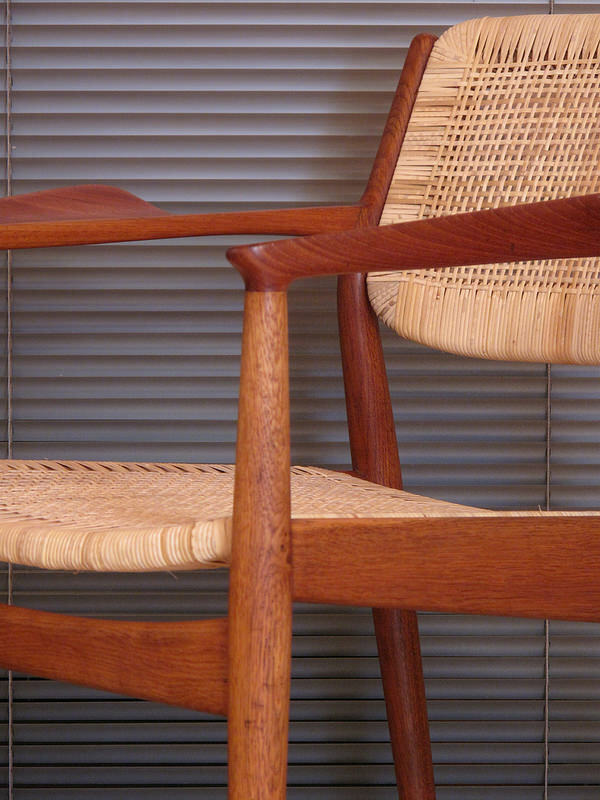 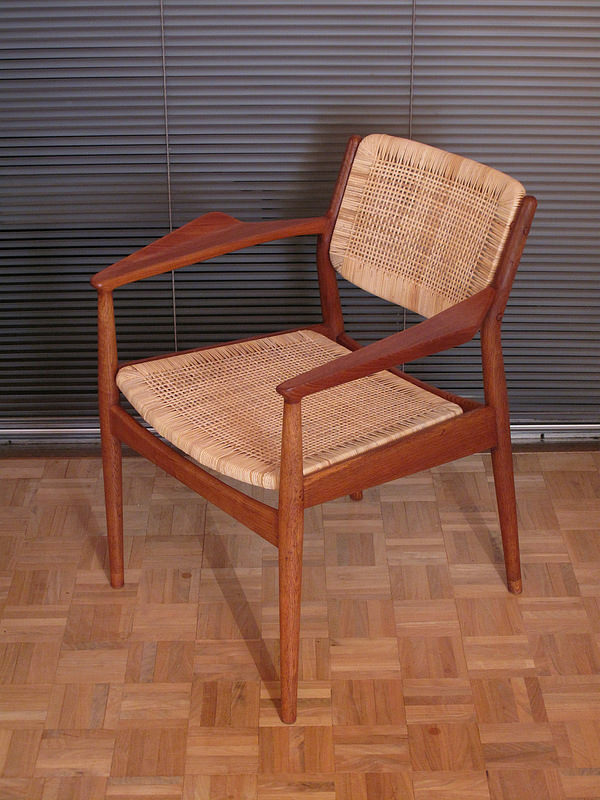 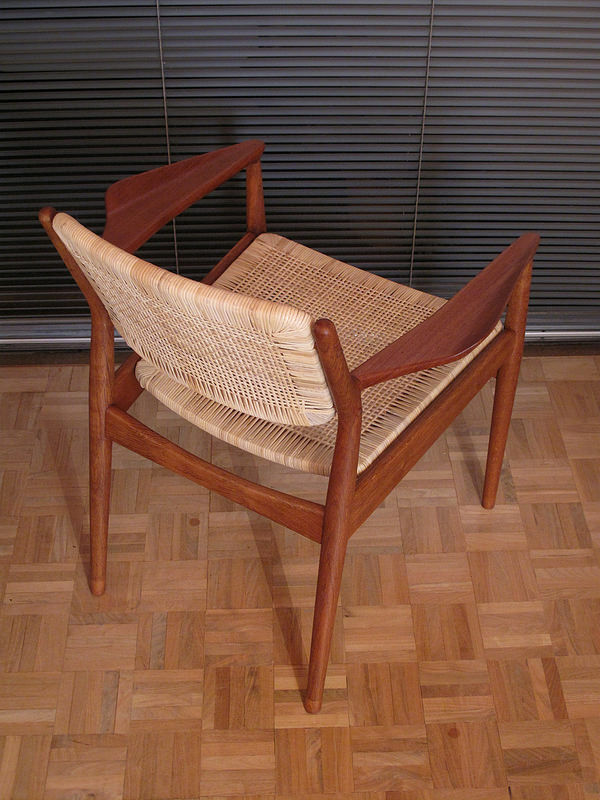 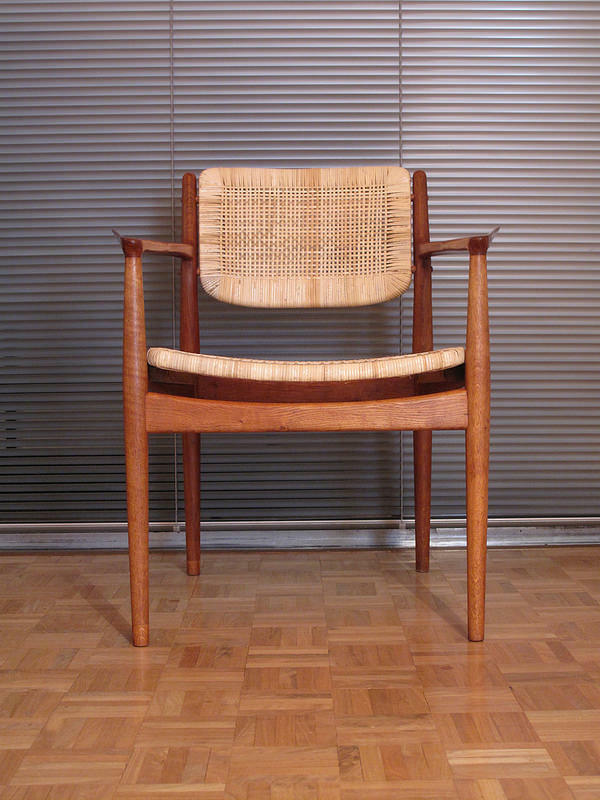 Very rare and incredibly beautiful armchair designed by Arne Vodder in the Mid 50’s for P.Olsen Sibast. 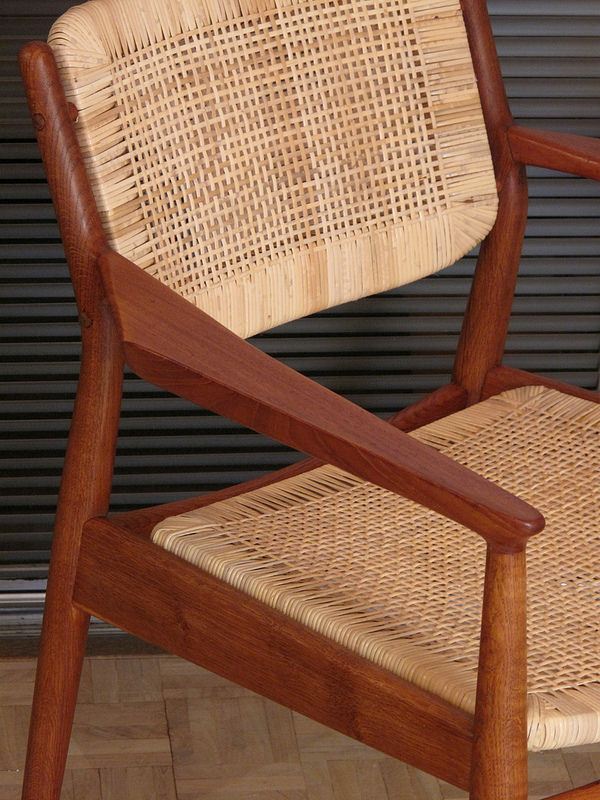 The frame is crafted from solid oak with visually arresting teak armrests. 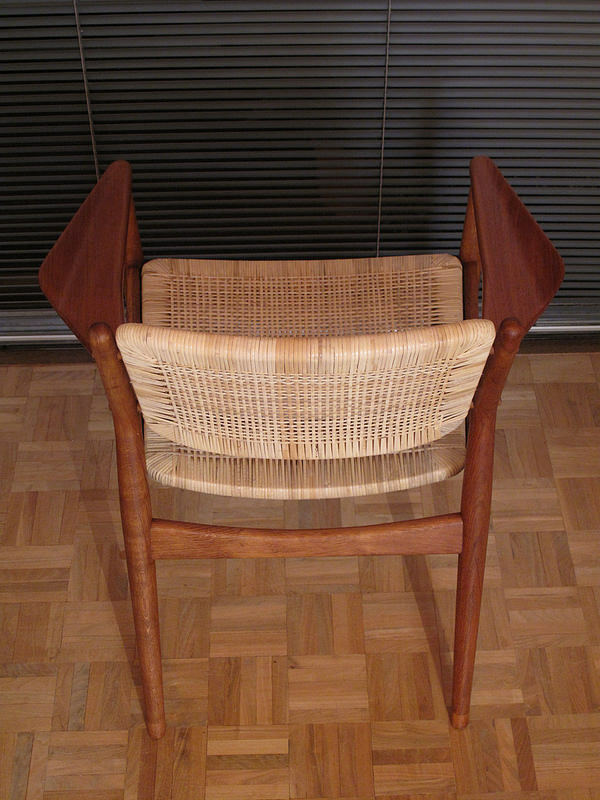 The chair has just been professionally re-caned with new Rattan. 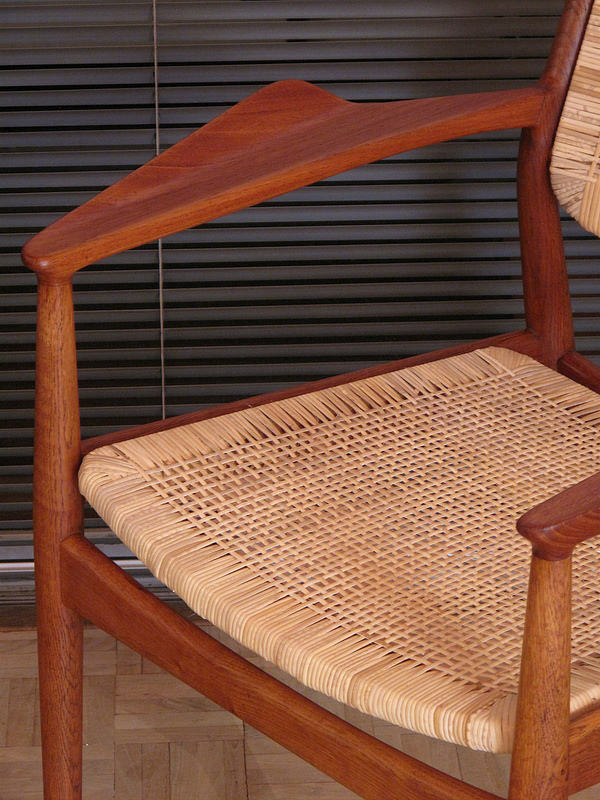 Wonderful attention to detail on this chair. 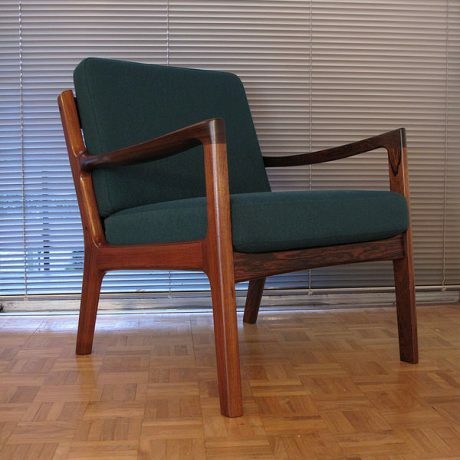 Each leg terminates in a contrasting grain foot and the aggressively styled and sculpted arms are a joy to look at as well as being very comfortable. 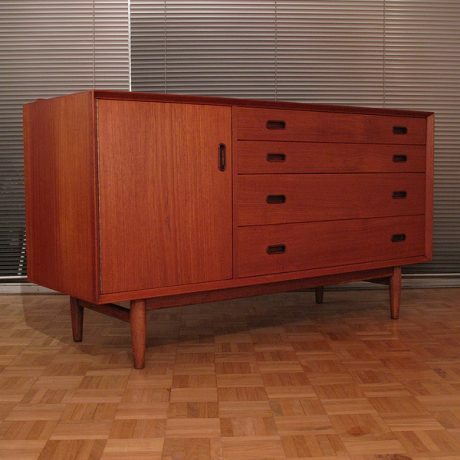 DIMENSIONS: 67cm Wide x 80 High x 60 Deep. 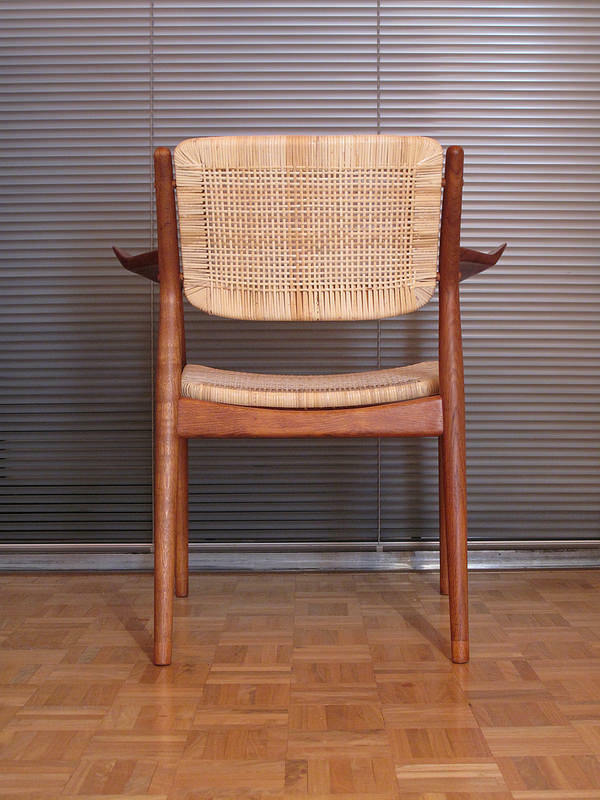 Seat Height 44cm. 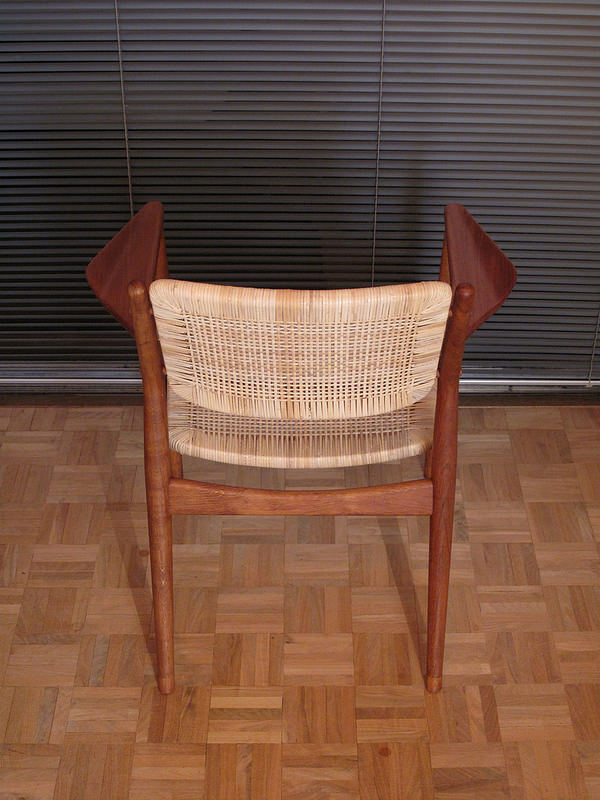 Arm Height 62.5cm.